We are delighted that The SMILE Group, has secured funding from Peaks & Plains’ Community Investment Grant. With groups running in Congleton and Macclesfield it is the place to go if you are feel you are struggling. When my son was born nearly 12 years ago I had crippling fears from feeling totally isolated, exposed and not at all good at being a Mum. I was living in London at the time and was literally saved from slipping further into a deep black hole by a lovely neighbour who was also a Mum to three older children. She stopped me in the street one day and just gave me a massive hug; I think I just look so fed up and knacked and it takes one Mum whose been there and done it to see it. She took me into her home for tea, cake and most of all sympathy. I had a good sob at her kitchen table and over the following weeks and months she helped me feel better about everything. In fact I’ve just written out her Christmas card as the bond I have with her nearly 12 years later is a string and as meaningful as ever (GO EMILY OF PUTNEY!!). The Macclesfield-based housing trust has awarded the charity, which provides support to families affected by ante and postnatal illness, a grant of £1,000 to help sustain its weekly group sessions. The SMILE Group was set up on Mother’s Day 2011 by local mums who had personal experience of postnatal depression (PND) and identified a vital gap in community support services. It operates peer support groups out of Children’s Centres in Hurdsfield and Congleton. Peaks & Plains’ Community Investment Grant is an on-going funding programme demonstrating the Trust’s commitment to supporting social cohesion and recognising initiatives that champion sustainable communities. Having provided financial support previously to The SMILE Group, Peaks & Plains has been impressed by the charity’s entrepreneurial spirit and its impact on local families, having received more than 2,500 visits through its doors across both sites to date, and provided pivotal support and signposting to aid recovery from perinatal illness. NHS reports state that up to 20 per cent of people are affected by perinatal illness (ante and postnatal depression and anxiety), though many go under the radar. This is due to the fact that parents don’t feel confident seeking medical support or they simply don’t recognise the symptoms they are experiencing, so go undiagnosed. Founders of The SMILE Group are passionate about raising awareness of PND, having recently featured on national TV and radio discussing the issue as well as producing an awareness video which has been shared globally. The grant awarded by Peaks & Plains will help to achieve greater awareness at a local level, by funding vital hands-on support. Commenting on this, Natalie Nuttall, chair and cofounder of The SMILE Group, said: “We’re thrilled to have benefitted from consistent support from Peaks & Plains as it will ensure we can help cover our core running costs and provide invaluable, continued support to local families. 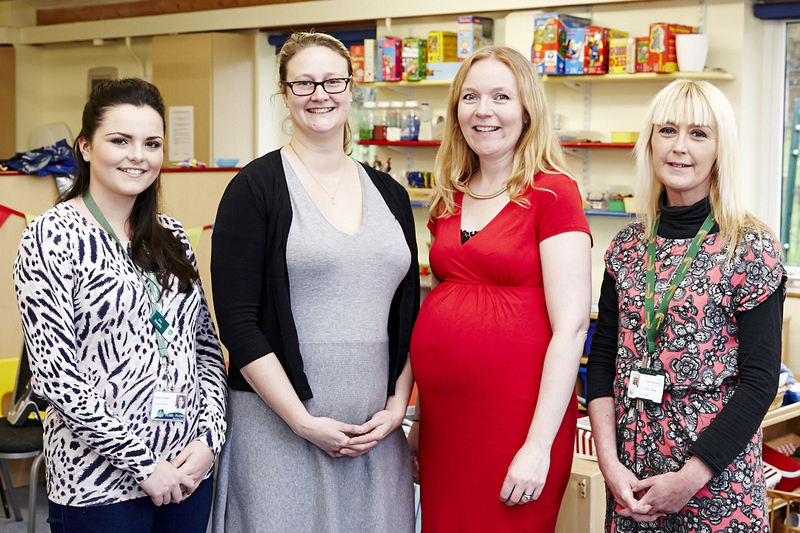 Jessica Sharpley, enterprise assistant from Peaks & Plains, added: “The SMILE Group is a real exemplar of community enterprise and is an invaluable support network for families affected by perinatal illness. There is an excellent video on the Smile website and I would say if you are a Mum are you are feeling crap for whatever reason, just do one thing and watch this video, it will make you laugh and it will make you cry but most of all it will fill you with relief that there are others out there like you and you can get the help and support you need to SMILE.